This is a custom lifting S-hook. It's easily customized to suit your need. 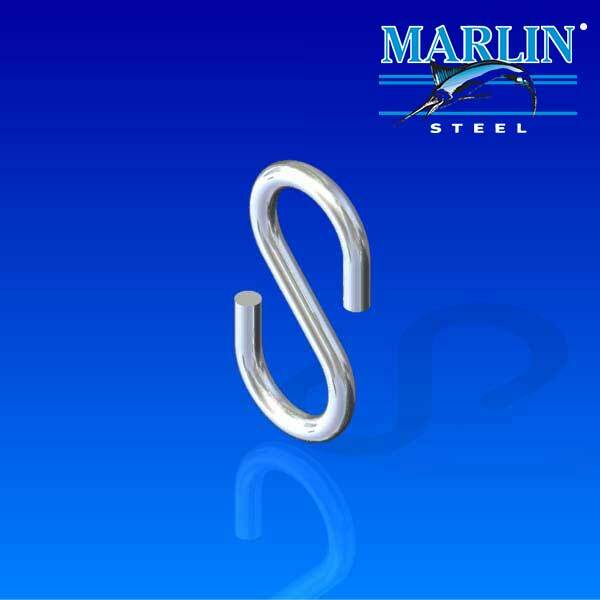 The stainless steel S-hook has a diameter of .1205" and length of 1.745". It has a preplated galvanized finish.